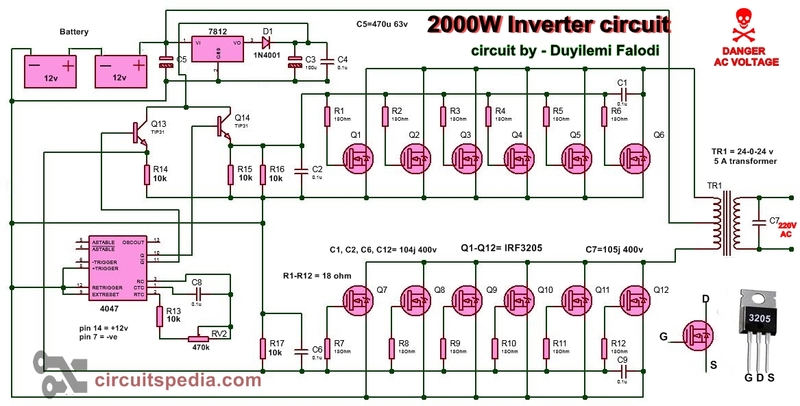 This is the circuit diagram of 2000w high power inverter circuit. This is based on the mosfet3205 . 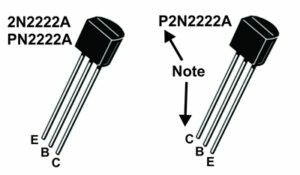 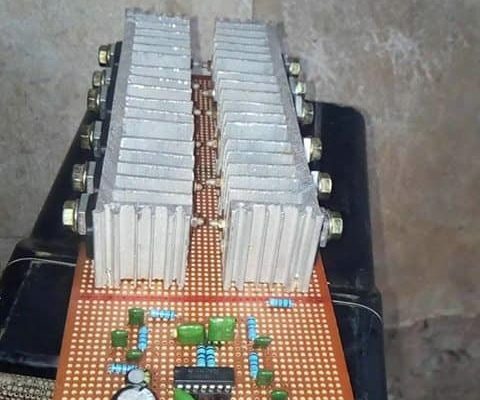 use 24v DC supply for operation and connect 24v 5A or more than 5A transformer. 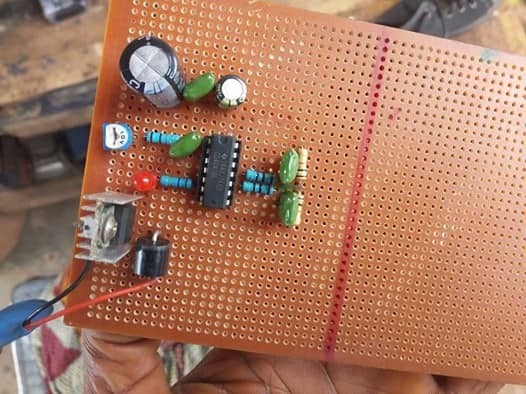 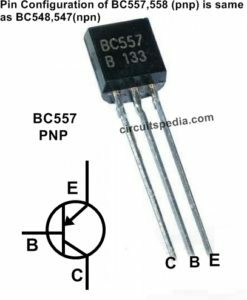 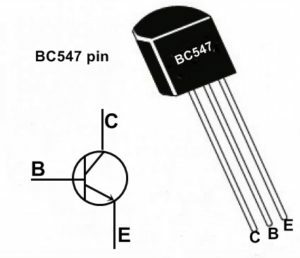 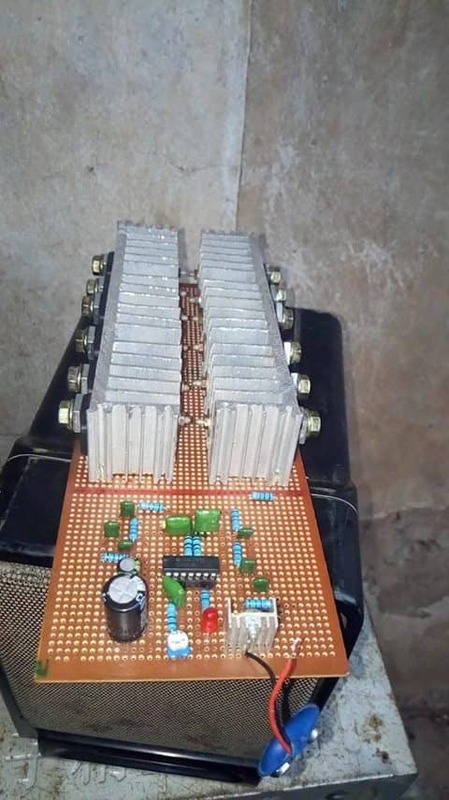 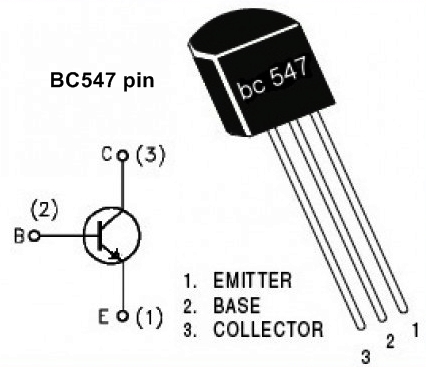 Please careful with this circuit because high A voltage. Hi Aman, thanks for sharing this circuit. 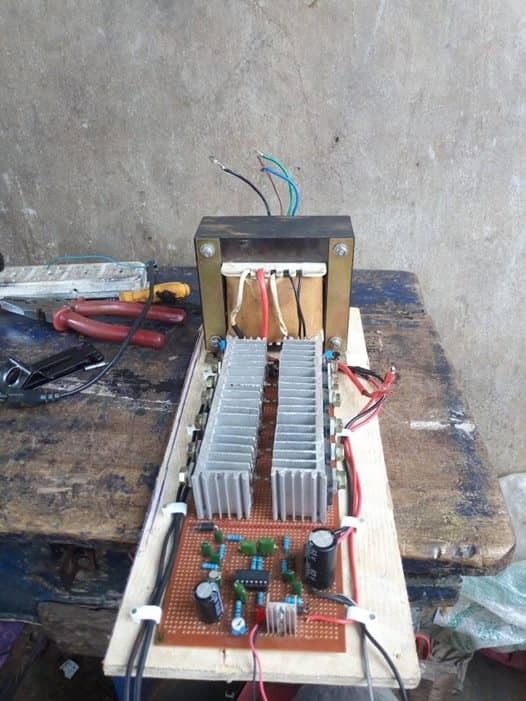 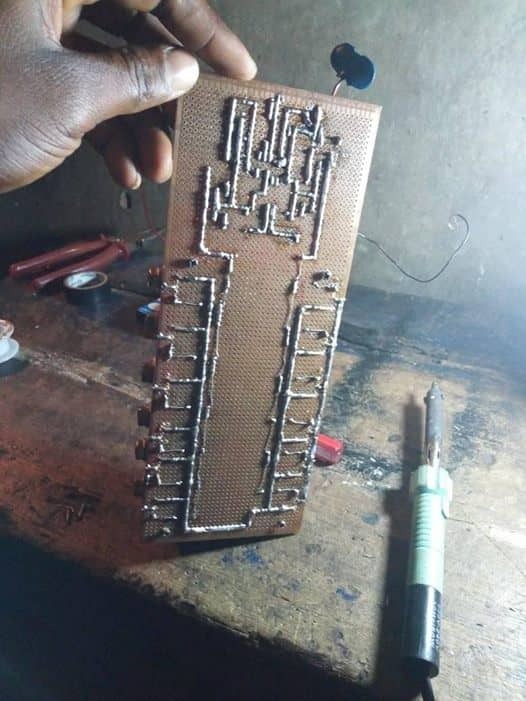 How did you wind the transformer, what wire guages did you use both at the primary and secondary sides?.